Good communication skills benefit workers, CEOs and companies’ performance. Every organisation has its own culture. This is largely determined by how its people interact, communicate and make decisions. The tone of communication is set by leadership, ripples throughout all areas within a company and extends to its customers and target audience via its brand. A positive and uplifting spirit of communication is the fabric of a strong organisational culture that influences job satisfaction, productivity and well-being at work. It goes even further; it improves retention of talented people and cuts down on absenteeism by creating a welcoming and open ethos where workers are happy to engage. Good communication is about much more than the practical sharing of information between individuals, teams, groups or departments. The way information is structured and shared, the tone of messages and personal communication styles have a big impact on how information is received and acted on. Unfortunately, much of the communication that occurs at work is just the transmission of data. Many people don’t have the skill or don’t believe they have the time to make sure that their communication is understood by the receiver. This lack of clarity or misunderstanding is at the basis of most problems in organisations. Employees and colleagues feel empowered when there are good communication lines between management and other levels. It builds confidence when truthful, transparent and current information is offered by superiors. It encourages the sharing of new ideas and creates safety for concerns to be expressed. In reality, many employees resist sharing their opinions and ideas, because they don’t feel psychologically safe. Psychologically safety can be defined as the degree to which people view the environment as conducive to inter-personally risky behaviors like speaking up or asking for help. It also plays a vital role in helping people overcome barriers to learning and change in inter-personally challenging work environments. Although the concept of psychological safety was introduced as a critical factor in helping people to learn new behaviors and overcome defensive routines 50 years ago, there has been a large body of further research on the impact of psychological safety over the past two decades, popularised by Amy Edmundson. Effective communication has a major impact on psychological safety. Distorted channels of communication or poorly structured information can lead to distrust, poor collaboration and a secretive, “them versus us” mentality, leading to interdepartmental friction or conflict. It can leave people filling in the blanks themselves, possibly incorrectly, and straying from the core values of the organisation. Through inclusivity and collaboration, businesses thrive. Leaders and managers can mistakenly believe that employees lack understanding of difficult issues or aren’t interested, so don’t share them. The same goes for bad news; sharing only the good puts working relationships in parent/child mode instead of those of trusted colleagues. What do we mean by parent/ child mode? The psychologist Eric Berne developed the idea that people switch between different states of mind on a moment-by-moment basis, depending on what is happening around them. When we are in adult mode, we are rational and assertive, neither trying to control nor reacting aggressively towards others. When we are in parent, we either seek to control or we nurture (to the point where we often dis-empower other people) and when we are in child we shirk responsibility or let our emotions takeover. For example, when a manager takes a parent approach (controlling), the team member might react in child mode. And as mentioned above, when a manager is not transparent with colleagues this often sends them into parent or child mode, either looking to control or retreating from their responsibilities in their role. Most employees, at every level, are more tuned in than some superiors give them credit for. Just as a customer who isn’t listened to may be lost, a colleague who isn’t heard or included in relevant issues can be alienated. Positive outcomes stem from being inclusive, knowing what needs to be shared, when and which methods of communication best convey it. Encouraging a healthy communication culture between colleagues is equally important. Now, more than ever, cross-cultural teams with vastly differing perspectives need practices that build understanding, open and honest relationships for effective collaboration. It’s a strategic imperative in such a global, diverse and technologically dominated environment. One negative action, without a consistent culture of positive interaction, can have a domino effect throughout a team or department. A team member that ls left feeling dis-empowered is likely to pass this on and it begins a cycle of negativity, affecting collaboration and productivity. Interpersonal communications skills training is perhaps the most important investment an organisation must consider if it wants its people and its customers to avoid many mistakes that are made in seemingly simple interactions. It builds a foundation for the principles of good organisational communication. Maintaining consistently positive interaction in the workplace is inherently difficult as there are many intricate aspects to how we interact which are not universally taught. 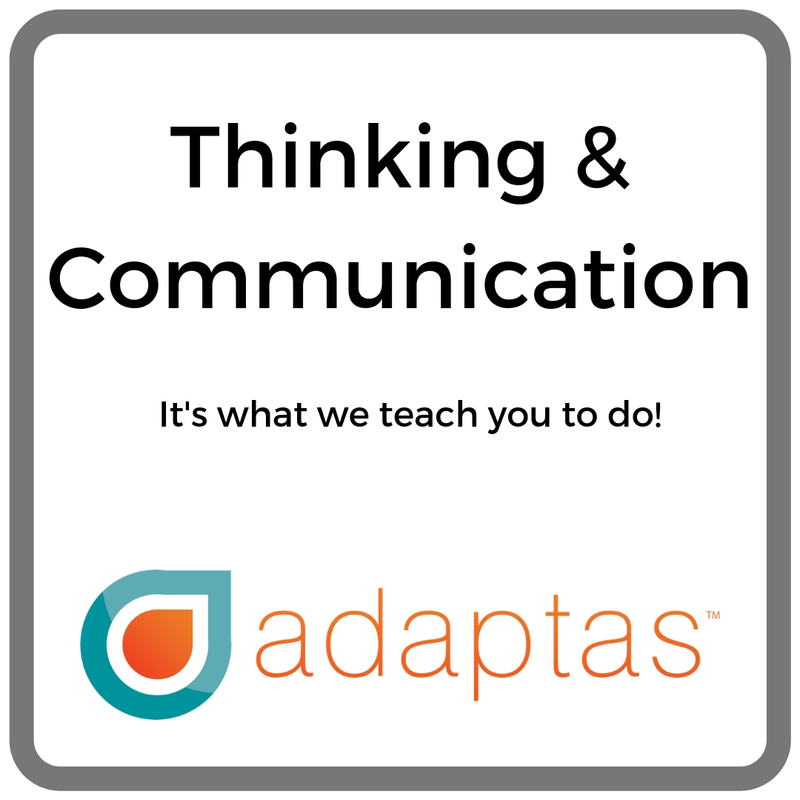 Without even considering the non-verbal elements of communication, speaking alone requires the speaker to perform two cognitively demanding tasks simultaneously: conceptualising the information to be conveyed and formulating a verbal message capable of conveying it. It also involves a third cognitively demanding aspect; listening. The meaning of even the most banal utterance is grounded in a set of fixed assumptions about what the communicator knows, believes, feels and thinks. Every individual views the world from different vantage points, like background, experience, knowledge, education and gender, creating a unique perspective. To accommodate variation in perspective, communicators must take each other’s perspectives into account. As the social psychologist Roger Brown put it, effective communication “… requires that the point of view of the auditor (listener) be realistically imagined.” However, the other’s perspective is not always obvious. As children, we assume everyone experiences the world in the same way we do. But even though we know better as adults, our judgement of others’ perspectives can be biased by our own points of view (egocentricity). Many interactions fail to achieve the objective in hand due to lack of understanding of another’s perspective and without the feedback which could give the opportunity to correct this. It can lead to poor comprehension of tasks among colleagues and clients can walk away feeling frustrated. Most people speak at a rate of 2.5 words per second, often in a noisy environment with less than clear diction. We are usually unaware how unclear our communication can be. One of the vital skills necessary to be a good communicator is to be a good listener. When colleagues or those who report to you feel listened to and heard, it builds trust and respect, setting the scene for receptivity to what you communicate on an ongoing basis. Being an active listener means paying close attention to others, including to non-verbal cues, withholding judgement and having a willingness to understand another’s perspective. Emotion expressed non-verbally can be more telling than the words people speak. Focus on tone of voice, pace of speech, facial expressions and gestures. Listen to hear the meaning behind what’s being said. It helps to paraphrase or summarise what you’re hearing and reflect the feelings expressed. “What I hear you saying is…” When you’re not clear what’s being communicated, make this obvious. “I don’t quite understand what you are saying, could you repeat that?” When giving feedback, make it seem like it’s coming from an ally rather than an adversary. This is easier the more relaxed you are. When stressed, communication can be abrupt, hurried or rambling, will be difficult to understand and messages may not be absorbed and applied. Your unease may transfer onto your colleague who could act this out by passing it on. Beginning with the idea that you want to help constructively will allow your colleague to pick up the value in your feedback and go away feeling supported. Many people, while listening, are evaluating or judging what’s being said or mentally multitasking and may miss important nuances. How does communications training offer benefit? As result of such a fast-paced and pressurised modern work environment, many leaders and managers are falling short of the type of communication skills that build productive working cultures. Busy people can have blind spots. A leader could be immensely talented but unaware of how he or she may be blocking personal potential with the wrong style of communication or impeding the trajectory of others in a team. Habitual behaviour can be the most difficult to change as it becomes automatic. It’s not easy to step outside of ourselves and view our actions, and the impact of them, objectively. It can take focus on direct feedback or specialised communication training to clearly see how interpersonal relationships play out. Well-designed processes challenge participants to complete tasks which reflect typical workplace and life situations. They focus on specific elements of communication to illuminate both positive and negative aspects of interactions. It’s an impartial and safe environment in which to explore the effect of new styles and approaches. bringing participants to a clear understanding of communication that works. Training is an ideal environment to explore a tendency to jump to incorrect assumptions. Instead of adopting a victim mentality unnecessarily, the habit of looking for another viewpoint can be introduced. Taking time to think and assess before making rash judgments and drawing unhelpful conclusions can avoid needless tension. Flowers and chocolates at work? Many companies are aware that good relationships are central to a collaborative, engaged and productive workforce. The cognitive culture is often healthily maintained. HR departments look for shared intellectual values; for traits in thinking and behaviour that fit company culture and a build harmonious team. But we are still learning how important the emotional culture is to success. In 2014, Barsade & O’Neill conducted research which found that ‘companionate love’— “feelings of affection, compassion, caring, and tenderness for others” at work significantly influences job satisfaction, teamwork, burnout and a company’s financial performance. The research showed that simply taking a moment to say “thank you” or ask how someone is doing has a positive impact enough to translate into measurable customer/client benefit. It illustrated across a variety of organisations and industries that it was the strength of an organisations companionate love culture that determined employee engagement. Where people felt comfortable to express affection, tenderness and caring, there were higher levels of job fulfilment, more commitment to the organisation and accountability for their work. In workplaces that don’t experience or promote companionate love there are minimal displays of affection, caring and compassion among workers. People tend to be more indifferent towards each other and are less equipped to deal with situations that are going badly. “It is the small moments between co-workers—a warm smile, a kind note, a sympathetic ear—day after day, month after month, that help create and maintain a strong culture of companionate love and the employee satisfaction, productivity, and client satisfaction that comes with it.” It isn’t enough that people get paid. Feeling appreciated and loved at work is necessary too. Good team leaders don’t tell, they ask. Clear and consistent communication is one of the main ingredients central to high employee engagement. But when communication is too controlling, and is a guise for micromanaging colleagues, it can be counter-productive. BIAC is a thinking, behavioural and adjustment profiling tool created in Ireland and now being used worldwide. One of its most useful aspects is in measuring levels of controlling thinking. The best score in this trait is neither at the top nor bottom, but right in the middle. To score highly means that a manager, boss or team leader tends to tell his or her people how to operate, instead of supporting and empowering them to creatively come up with strategies and solutions themselves. This approach can block the development of talented people and stifle inspiration. High controlling thinking impacts on psychological safety, mentioned earlier, in a negative way. Remaining firmly in charge without trusting others to do a good job and use their own initiative doesn’t just affect others. The leader who is overly controlling also suffers by carrying too much personal responsibility and becoming stressed. 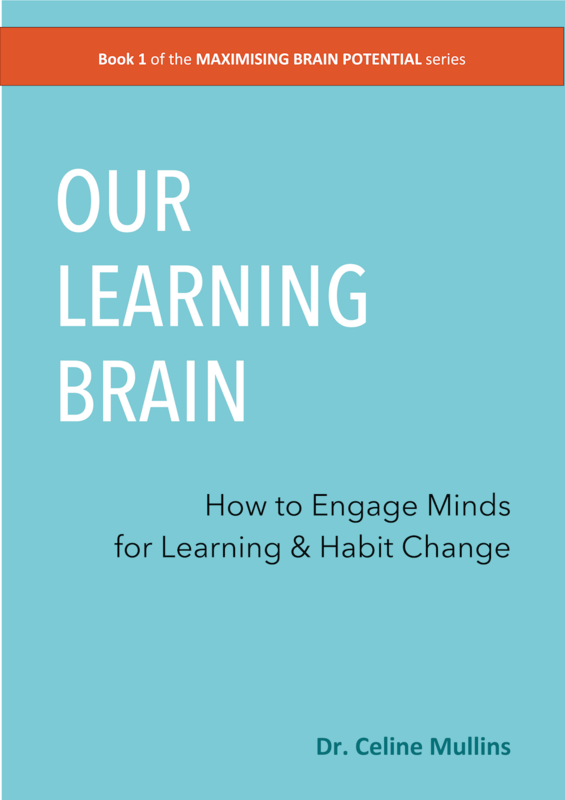 Their high expectations create habitual and unconscious controlling behaviour and they often cannot see the lost opportunities to allow others to rise to a challenge or the negative impact on themselves and others. Having a low score in controlling thinking and behaviour also has its disadvantages. It translates into weak decision-making which can allow others to take charge inappropriately, leading to a feeling of dis-empowerment and low self-esteem. People who are centered in controlling thinking and behaviour, as measured by BIAC, have no difficulty in empowering others but are fully capable of being in charge, when required. They ask open-ended questions, genuinely consider opinions of others and remain calmer and more effective in their roles. They are particularly good team leaders and tend to build dynamic and productive departments. The benefits of great communication skills can’t be over-emphasised. They improve all aspects of working life, contribute to better well-being for everyone and positively effect results. A final few words from Kevin Sharer (Harvard Business School & former CEO of Amgen).